A group of concerned residents in Tiburon and Belvedere have joined together to found a new, non-profit, organization named TRUST – Tiburon / Belvedere Residents United to Support the Trails. 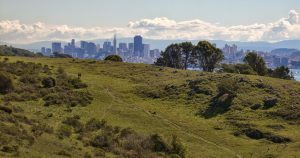 In the short run, TRUST’s mission is limited to protecting the public trail network on the Martha property and the Tiburon Ridge. In the longer term, TRUST’s mission is to aid in the stewardship of the land.